The mango is considered as one of the most delicious and healthiest fruits. The “king of the fruits” has a yellow, reddish orange or green skin and a deep yellow pulpy interior. Besides its mouth-watering taste, several other health and beauty benefits of mango juice. This article elaborates on the nutritional value of mango juice and its advantages for the skin and overall health. Below mentioned are the top 10 mango juice benefits. 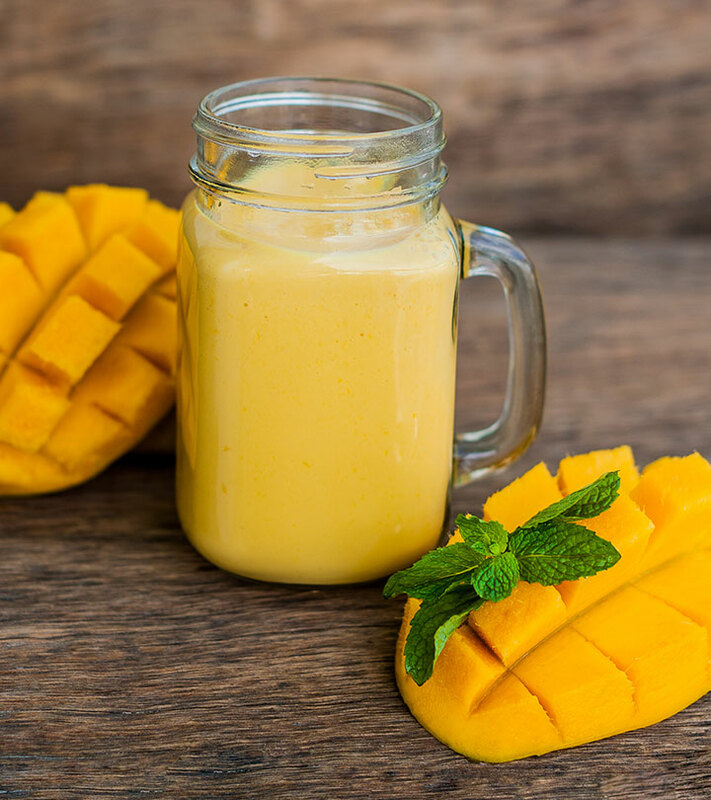 Mango is loaded with antioxidant compounds including astragalin, methylgallat, isoquercitrin, fisetin, quercetin and gallic acid. All these compounds are considered to be effective for reducing the risks of breast, colon, leukaemia and prostate cancers. A soluble dietary fiber ‘pectin’, present in mangoes, also plays a significant role in this regard. According to latest research, pectin trims down the action of “galectin 9” that is a functioning element in cancerous cells. Furthermore, another constituent of mangoes, “lupeol” suppresses the tumour cells of prostate cancer. Mango juice nourishes your body with sufficient amounts of Vitamin C. The pectin and Vitamin C combine to facilitate the human body in lowering the serum cholesterol levels, especially Low-Density Lipoprotein. Iron is one of the most significant nutrients; its deficiency may lead to several severe health issues including anaemia. You can provide your body a notable amount of iron by consuming one serving of mango juice every day. Mango juice is very advantageous for the to-be-mothers as they require a high content of iron. Consuming mangoes or mango juice is the best way to provide your body the crucial nutrient, Vitamin A. It acts as the best defender against eye problems i.e. dry eyes and night blindness in addition to promoting good eyesight. One of the best benefits of mango juice is that it enhances the beauty of your skin by providing essential nutrients in great quantities. Acne, pimples and other skin issues can be treated by using the mango fruit externally. You just need to apply the mango pulp on your skin for about ten minutes. After the recommended time, wash your skin with tepid water. Malic acid, tartaric acid and a trace of citric acid are available in fresh mango juice. These acids facilitate to maintain the alkali reserve of the body. Diabetes is a severe ailment that cannot be considered trivial. It is characterized by surplus quantity of blood sugar in the body. The most common causes of diabetes include high blood pressure, high cholesterol and insulin resistance. 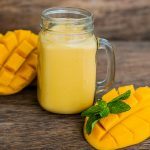 Mango juice (without sugar) controls the sugar levels by normalizing insulin levels, maintaining blood pressure and cutting down the bad cholesterol. Mango juice is well-known to promote the health of the digestive system by settling an upset stomach. If you are suffering from constipation, consume this marvelous juice in combination with grapefruit and pineapple juices. 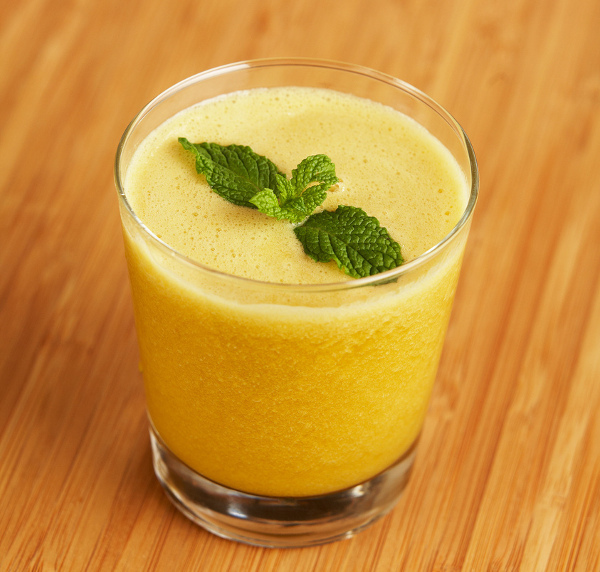 Vitamin C, Vitamin A and carotenoids are found in mango juice. These constituents combine together to keep your immune system strong and healthy. Mango juice has several precious nutrients. One cup mango juice contains 128 calories, with less than 1 g each of protein, fat and cholesterol. 33 g of carbohydrates and 0.8 g of fiber are available in one serving. Hope you liked our post on benefits of mango juice. Do you relish mangoes? Share with us in the comments section below.